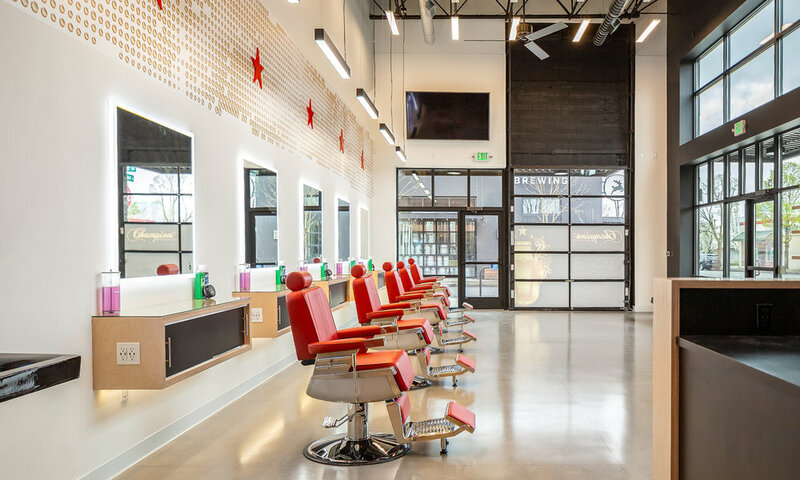 Wood accents and a sleek dark interior create an atmospheric contemporary barbershop in NE Portland. 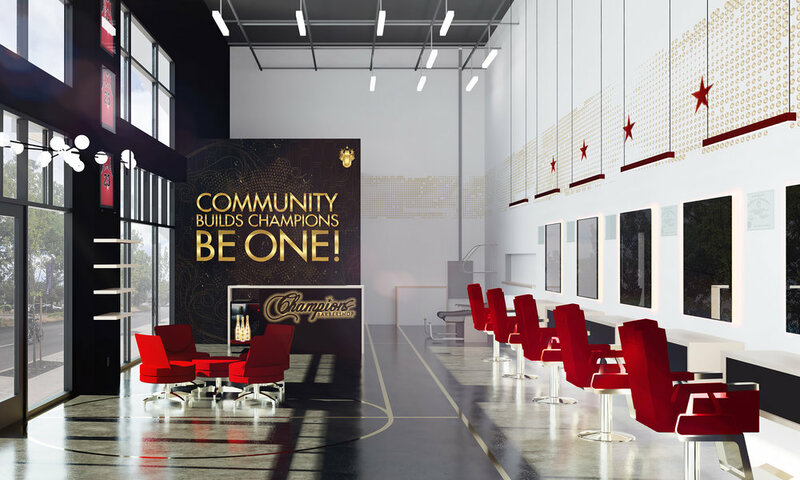 Champions barbershop is moving to a new location and refreshing their brand. The architecture is responding to the new branding and creating an ambiance that is both minimal yet filled with subtle details that expand the brand. 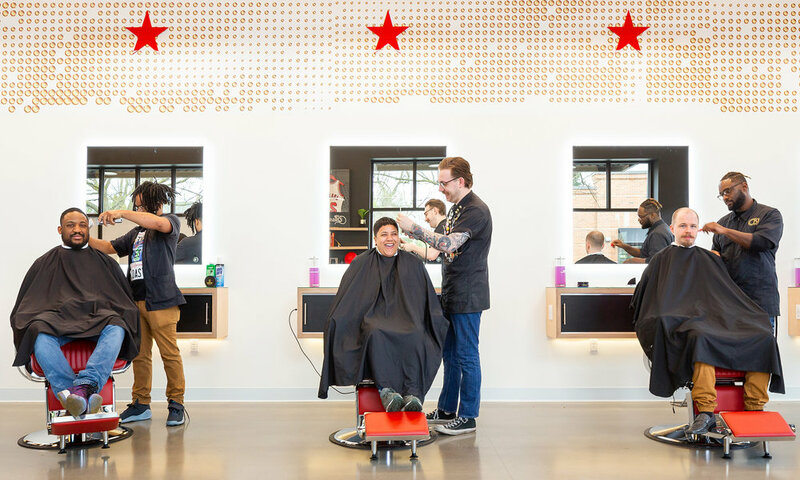 The wood screens harken to the newly opened Champions Barbering Institute, while the black walls with subtle graphics set this business apart. The stained concrete floor includes inlaid metallic lines that allude to the sporty basketball roots of the brand. The bleachers also allude to the owner's love of basketball while creating a casual lounge atmosphere for those waiting for a haircut. It also can act as seating for community events, projecting sports on a drop down screen, or for the barbers to hang out when they are off shift. The bleachers also lead up to a mezzanine that doubles as a break area and private lounge. It can also be used as a place for DJs or other special events.